The need to check facts carefully has become something of a shibboleth with respect to present-day political discourse in the United States. 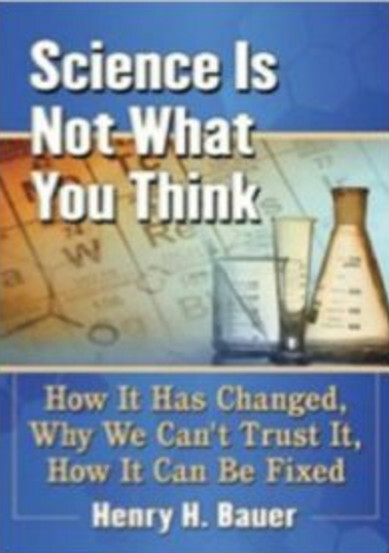 Only voices crying in the wilderness, however, have pointed to the need for fact-checking what society gleans from the scientific community — see my Science Is Not What You Think: How It Has Changed, Why We Can’t Trust It, How It Can Be Fixed (McFarland, 2017). the title of this blog is also the title my review of How to Survive a Plague: The Inside Story of How Citizens and Science Tamed AIDS by David France, A 2012 film and 2016 book, both of which received enthusiastic plaudits from the mainstream media and which repeat and thereby entrench the mistakes of HIV AIDS theory and practice. The title of this blog is also the title of my review of How to Survive a Plague: The Inside Story of How Citizens and Science Tamed AIDS by David France, a 2012 film and 2016 book, both of which received enthusiastic plaudits from the mainstream media and which repeat and thereby entrench the mistakes of HIV AIDS theory and practice. 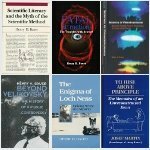 The opening and closing paragraphs of my review reflect that the Journal of Scientific Exploration, in which it is published, specializes in anomalistics which refers to such topics as Loch Ness Monsters, Bigfoot, UFOs, psychic phenomenon, that are ignored and denigrated by mainstream science. “The Gardasil vaccines continue to be vaunted as life-saving, but there is no evidence that HPV vaccination is reducing the incidence of cervical cancer, and reports of adverse effects now total more than 85,000 worldwide. Nearly 500 deaths are suspected of being linked to quadrivalent Gardasil or Gardasil 9. “This article was updated with information from the AHVID on 14/09/2018. Peter Gøtzsche has been expelled from the Cochrane Collaboration. Six of the 13 members of the collaboration’s governing board voted for his expulsion. In just 24 hours, Gøtzsche said, the Cochrane governing board had lost five of its members, four of whom were centre directors and key members of the organisation in different countries. Gøtzsche says that, in recent years, Cochrane has significantly shifted more to a profit-driven approach. ‘Even though it is a not-for-profit charity, our ‘brand’ and ‘product’ strategies are taking priority over getting out independent, ethical and socially responsible scientific results,’ he said’”. The World Health Organization has issued a press release reporting that Swiss researchers have demonstrated that HIV cannot be the cause of AIDS because the so-called isolates of HIV routinely used in studies of HIV and of AIDS do not actually contain live infectious particles of a retrovirus. The World Health Organization was asked why it had ignored its own sometime epidemiologist who had pointed to the fudging of data to create apparent epidemics . Robert Gallo was asked where he regretted having described as flat-earthers  the scientists who had disagreed with him. Anthony Fauci was asked whether he regretted threatening journalists who covered dissenting voices about HIV . Dr. Nancy Padian was asked why she had not recognized the significance of her failure to observe during ten years any transmission of HIV among sexually active couples of whom one was HIV+ and the other not . The Centers for Disease Control were asked to explain how they could have issued patently wrong statistical information. The Food and Drug Administration were asked how they could have approved the use of toxic substances as purported medication for a non-existent virus. The drug company Gilead Sciences was asked to explain how it had decided that its drugs were capable of killing a non-existent virus. All that is a fable, of course, or rather a parable — it is not true literally but it points to important truths. Perhaps it may serve to drive home the important insight that it is quite inconceivable, quite impossible, that any official institution would admit that HIV/AIDS theory is wrong, it would raise too many unanswerable questions. 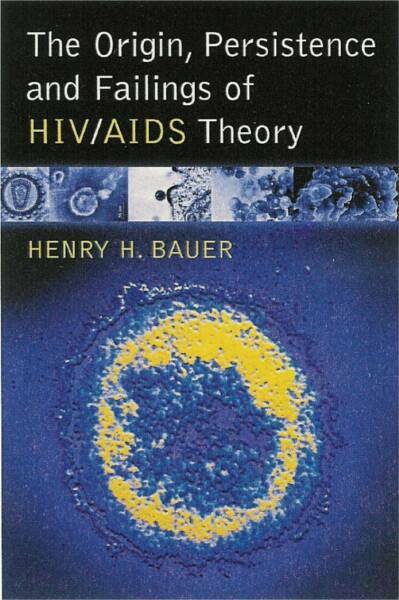 And yet the evidence is so copious and clear-cut that the theory is in fact wrong (The Case against HIV). That hugely important fact about the role of science in the modern world, that a wrong theory could become generally accepted, reflects what President Eisenhower warned against more than half a century ago, namely, that public policy could be captured by a scientific-technological elite. That has now actually come to pass not only in the case of HIV AIDS but also over the theory of human-caused global warming and climate change (Anthropogenic Global Warming, AGW, and ACC). For that latter case, Christopher Booker  recently offered Groupthink as explanation for how an elite group could come to believe and promote a faulty belief. Booker came upon the concept of Groupthink in the work of psychologist Irving Janis , who had discussed the idea in explaining how disastrous failures in American foreign policy had come about, for example in Vietnam and the muffed invasion of Cuba. A crucial part of the context that makes for Groupthink is that it would be fatal for the elite group if its belief were not accepted. That’s the point of the fake news story with which I began this blog post: It illustrates that it would be an act of collective suicide for the World Health Organization, UNAIDS, the National Institutes of Health, the Centers for Disease Control, the Food and Drug Administration, innumerable charities and foundations, and many activist groups if they were to admit that they had been wrong in what they had vigorously promoted and defended for several decades and which had led to expenditures of tens of billions of dollars. The credibility of leading institutions would be shattered and innumerable individuals would be publicly shamed and their careers and livelihoods destroyed. The analogy with high finance is straightforward: HIV/AIDS theory is simply “too big to fail”. So that will not be allowed to happen. Rather, the mainstream HIV/AIDS behemoth will continue to sweep aside challenges by ad hominem polemics (labeling dissenters as morally despicable denialists) and by mis-direction on substantive points, for example, claiming that even temporary recovery of health by some sick HIV+ individuals proves that antiretroviral drugs are effective and that HIV had caused the illness. After an old friend, a notably successful scientist, had read my book, The Origin, Persistence and Failings of HIV/AIDS Theory (McFarland, 2007), he remarked that the trouble was that it would lead to undermining trust in science overall. But he was assuming, as do so many scientists, and so many of us who have been promoting HIV/AIDS dissent and AIDS Rethinking, that it is the facts of the matter that count; that evidence and factual reality are bound to carry the day in public discourse and public policies. That is simply not so nowadays. 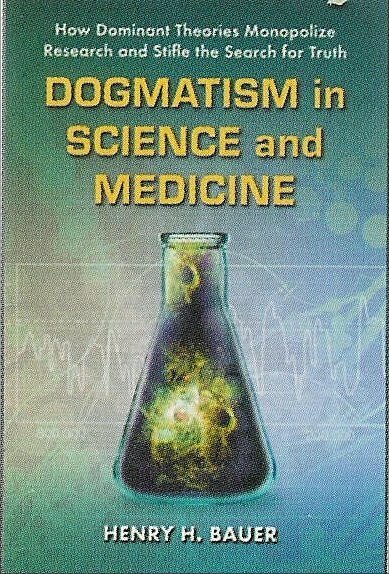 Perhaps it was not so far from the truth in times past, when there was a “basic” or “pure” science carried on by relatively disinterested truth-seekers who were able to command sufficient research resources that came without strings attached. Was that a purely mythical past? Not really. During my student days and early faculty jobs at an Australian university, technical facilities were automatically available to the faculty: glass-blowing and other technical needs were provided by permanently employed service people; routinely used chemicals were on hand; reasonable sums of money were provided for purchase of more exotic items; publication was supported by secretarial staff, and of course in those times one’s articles were published in journals that did not demand “page charges” or other fees. We studied what interested us, what we thought would be fruitful, not what others told us to study. That was half a century ago. There was competition, of course, but it was within civilized bounds. Peer reviewers could make bad decisions, perhaps partly under the influence of bias, but there was not much attempted suppression of rivals just for the sake of personal advancement, and outright fraud was rare indeed. We studied and practiced science pretty much as idealists. A fellow academic of my generation told me about 20 years ago that he still had his graduate students read Sinclair Lewis’s Arrowsmith for its early-20th-century message of honesty, integrity, disinterestedness. Younger people will doubtless read the above with incredulity. Nowadays a career in scientific research begins by working on what the scientific consensus considers appropriate. One spends a significant number of years in postdoctoral and other temporary positions waiting for the rare tenure-track slot to open up, competing then with other hopefuls who are also supported by long publication lists and records of research support; or perhaps one goes into “applied” research in industry or government. In any case, the research that gets done and then published is determined by the prevailing scientific consensus, not by the individual inspiration and ingenuity of an intellectual entrepreneur. In 1980, the recipient of a prize for scientific work described the subterfuge needed to get research support for anything novel, unconventional (Richard A. Muller, “Innovation and scientific funding”, Science, 209 : 880‑883). Try to imagine how Anthony Fauci, Robert Gallo, the National Institutes of Health, the Centers for Disease Control & Prevention could possibly manage face-saving explanations for how and why HIV doesn’t really, after all, cause AIDS; how the Food and Drug Administration would find excuses for all its approvals of toxic antiretroviral drugs. Imagine the reactions of all the researchers who had avidly pursued mindless “research”, and all the science groupies and researchers who had defended wrong theory and maligned and persecuted the “denialists” who now turned out to have been right all along. Think about what would be said and done by the Gates Foundation and all the other charities and non-profits who had diligently worked to provide health care for people being made sick not by disease but by medication. It seems to me simply inconceivable that “the scientific consensus” and its agents could ever retract about HIV/AIDS. So the task of disproving HIV/AIDS theory is not a matter of offering contradictory facts, which have in any case been available in profusion for decades (The Case against HIV http://thecaseagainsthiv.net). The task is first to persuade society that “science” can get it wrong, even and in particular on a matter that affects such huge numbers of people and huge expenditures by governments and by non-profits and charities. Society as a whole needs to be disabused of mistaken beliefs about science, in other words. My old friend had it backwards: until unquestioned faith in science is replaced by sensible skepticism and a demand that evidence for claims be openly presented and defended against skeptics, evidence-based criticisms of HIV/AIDS theory will not gain even a foothold in the conventional wisdom, the popular media, the mainstream discourse. ⇒ What has been so damaging is not so much sheer ignorance as beliefs that are wrong (Dangerous knowledge). ⇒ Wrong views about the history of science are rampant throughout society; especially how drastically different today’s science is from the idealized popular view of it — which, as I opined above, was actually not that unrealistic only about half-a-century ago (Dangerous knowledge II: Wrong knowledge about the history of science). ⇒ The popular belief is wrong, that science is infallible and made so by “the scientific method”. The fact is that the scientific consensus always defends itself vigorously even when it happens to be wrong (Dangerous knowledge III: Wrong knowledge about science). ⇒ There exists a vicious cycle: HIV/AIDS dissent (and dissent from any contemporary scientific consensus) is dismissed out of hand because science couldn’t possibly be wrong about so important a matter; but until it is realized that the scientific consensus on many contemporary issues is flawed, dissent in any given case will be dismissed out of hand, preventing the accumulation of the evidence that science nowadays is pervasively untrustworthy (Dangerous knowledge IV: The vicious cycle of wrong knowledge).